Mosquito Control – While mosquitos aren’t harmful to your lawn, they keep you from enjoying your beautiful yard once you get the other pests under control. By incorporating this service in with your other lawn spraying options, you can avoid the need to put insect repellent on yourself and your family to enjoy the outdoors. 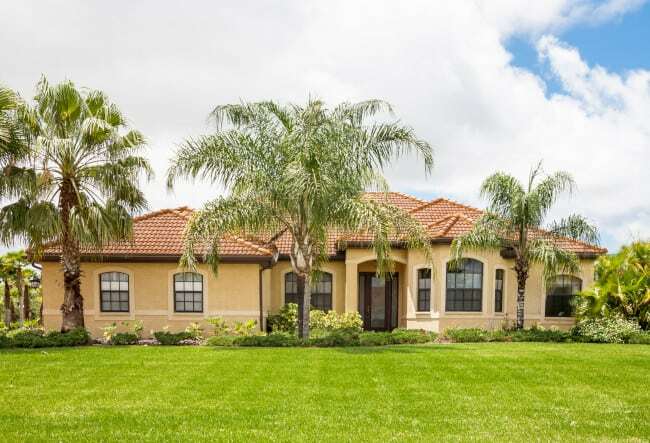 Lawn Fertilization – It might surprise you how many lawns there are that fall short of the lushness they could have if only they received the right type and amount of fertilizer. Weed Control – Don’t let crab grass and other weeds take over your yard when lawn spraying can keep them under control. Weeds may be green and perhaps not as noticeable as some other lawn problems, but they can quickly choke out grass and take over. Disease and Fungus Control – Lawns can become diseased if not maintained properly or watered correctly. Lawn spraying along with an irrigation analysis can help with the underlying cause for this condition. Insect and Grub Control – It might surprise you how quickly a lush lawn can fall victim to insects and grubs. Even once you have attained the beautiful lawn you desire, regular lawn spraying is necessary to keep it that way. Don’t let fleas, fire ants, and other insects take away from your enjoyment of your yard. If you would like to know more about lawn spraying, give us a call at The Other Side Lawn & Ornamental Pest Control Inc. Unlike other pest control companies, we identify and treat all the issues your lawn has rather than bill you for each service a la carte. We use only the highest quality products and best practices to give you the lush lawn you desire. Call today to learn more about our monthly and 8-step programs.